BEVERLY HILLS, Calif., April 08, 2019 (GLOBE NEWSWIRE) -- Following the successful premiere of season one of the new animated preschool series, ​Rainbow Rangers​ ​(52 x 11’), airing on the Nick Jr. channel, Genius Brands International “Genius Brands” (Nasdaq:GNUS) announced today the greenlight by Nickelodeon on the production of season two for a full order of 52 x 11-minute episodes. Following the successful premiere on Nick Jr. of season one of the new animated preschool series, Rainbow Rangers (52 x 11’), Genius Brands International (Nasdaq:GNUS) gets the greenlight by Nickelodeon on the production of season two for a full order of 52 x 11-minute episodes, to debut in Q4 2019. Over 350 Rainbow Ranger product SKUs from over 20 blue-chip, industry-leading manufacturers are coming to the retail marketplace beginning July 2019. Rainbow Rangers anchor categories include toys, publishing, and apparel, led by Mattel Inc. (toy), MacMillan Publishing (publishing), and Bentex (apparel) as well as key licensees in categories, including games, party goods, costumes, bedding, bicycles, scooters, personal care, coloring, activity, boxed role-play, room décor, consumer packaged goods, vitamins, and even a touring show from Gershwin Entertainment. 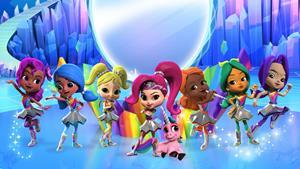 In addition to Nick Jr., Genius Brands has begun selling the Rainbow Rangers series internationally where, based on the performance on Nickelodeon in the U.S., Genius Brands recently opened an office in London to service the growing global demand. In the key demos of kids ages 2-5 and 6-11, Rainbow Rangers has consistently retained its audience and grown from its lead-in shows across a variety of different time periods in which it has been placed for broadcast. Additionally, Rainbow Rangers has drawn almost as many boys as girls, making it particularly desirable. Nickelodeon debuted season one of Rainbow Rangers on Nick Jr. on November 5, 2018. The series airs Monday through Friday in the afternoon, and on Sunday mornings, consistently garnering ratings as a top program. Season two of Rainbow Rangers will bring again the collaboration of one of the strongest creative teams ever assembled for a kid’s animated series, including creators Rob Minkoff (Disney’s The Lion King director), Shane Morris (Disney’s Frozen co-writer), Tim Mansfield and New York Times Bestselling author and Emmy-nominated writer Elise Allen (Dinosaur Train, Lion Guard, Barbie specials), who is serving as head writer and co-creator. Legendary Disney alum Ruben Aquino—responsible for the design and animation of many of Disney’s most iconic characters from award-winning films, including The Lion King, Beauty and the Beast, The Little Mermaid, Mulan, and Frozen—will continue to create key designs. Multi-Emmy Award-winning director Michael Maliani will continue as the director, and Genius Brands' Chairman and CEO and multiple Emmy-winning producer, Andy Heyward, will continue to serve as executive producer. Season two of the series will continue the rescue-based adventures of seven girls who are Earth’s first responders, protecting people, animals, resources, and the natural beauty of our world. The Rainbow Rangers, who live in the magical land of Kaleidoscopia at the other side of the rainbow, have their distinctive personalities and superpowers. Whenever there's trouble for the people or animals of Earth, our seven heroines zoom into action and ride their Spectra Scooters across the rainbow to save the day. Viewers will join them on exciting adventures but also see them at home having the same daily dramas and hilarities as every child watching the show. Rainbow Rangers is about empowering and encouraging girls to take action and make a difference in their own homes and neighborhoods to improve and safeguard the planet. Every viewer—boys and girls alike—will see themselves in at least one of these strong, unique and empowered Rangers!